While the discussion about the HNY album is still going on, I thought it might be interesting to rate our all time favorite music albums from SRK movies! You can pick any number and rank them - no 1 being the most favorite! I know most of these are very obvious and popular choices, but that's what it is. There are lots and lots of hits that I love to death, and whose albums I have not mentioned here, one ore two in one album - lot of them from the very old movies too, but I choose these albums because I can listen to them at any time - the whole album, not only chosen songs! So - what about you? and many more, but those I think are the ones that I've listened to most times and no matter how much time passes, still feel great to me. Wow, I totally forgot about Asoka - fantastic album indeed! The list can vary depending on the mood but the first album is my all time favourite. To be completely honest though, I feel after the first three, my list is in no particular order. Those are just the albums I enjoy much more than the others. . .
Kal Ho Naa Ho, Main Hoon Na, Swades, Dil Se, Pardes, KKKG, KKHH, Chalte Chalte, Mohabbatein, Jab Tak Hai Jaan, Om Shanti Om, DDLJ, Veer Zaara, Yes Boss and many more I can't even remember. My favorite is Dil Se for sure ( I'm obsessed about this masterpiece film). Then in no order I love Asoka, Paheli, One2 Ka4, Devdas, Yes Boss, Chalte Chalte, JTHJ, KANK; Mitwa and Tumhi Dekho Na , Darr has to be there for tu mere samne & K3G for suraj hua madham. It is big surprise that nobody has mentioned deewana album here even some one mentioned 1 2 ka 4, or paheli etc. in their favorite. Believe me Dewana album was biggest hit of 1992 and 3rd best selling album after DRPH AND DDLJ as far as srk movies are concerned. Aisi deewangi and Teri ummeed was topper for many week on superhit muqabla, infact all songs from this album were superhit and it is very rare when each song from single album turn superhit. Happy New Year, I love all songs on this movie. I would say my favorite Shah Rukh Khan film score is for the movie My Name is Khan. The music perfectly fit this moving and powerful film which will always be my favorite. I also like Deewangi Deewangi from OM SHANTI OM so that would have to be my second favorite. 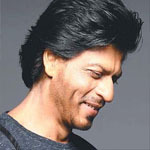 My favorites are Paheli, KANK, Dil Se,Veer Zaara, Main Hoon Na, Chalte Chalte, Yes Boss, Asoka, K3G, Pardes, DTPH, CE and MNIK. I love them all and listen to many of them often. I am surprised to see that "My Name is Khan" and "Dewana" getting less mentions here. Both were absolute Hits even now i have some Tere Naina playing in my playlist. But the biggest surprise is no one mentioned "Chak De India" which i think is excellent one considering the genre of the Film. Chak De India Theme song is always played everywhere whenever India wins anything in Sports. IMO but "Teeja tera Rang tha mai toh" is one of the best Songs for lyrics and when you see the visuals with SRK at its best its a complete package. "Kuck Kariye" is nowhere less in anything of my Pick will have MNIK and Chak De is my top 3 which i see missing in most lists above. 1. Dil Se for me as well. Even ARR cant top that. Thaiyya Thaiyya is AMAZING. Ae Ajnabi is my all time fav song. Veer Zaara and Devdas worked beautifully in the movie. For any actor who started a acting after 1980, SRK has some of the biggest musical hits and memorable music albums over a long career. There is great variety in the songs that have been filmed on him over the years. Choosing my favorite music albums is both easy and hard. Some names immediately come to mind.. Songs that I have heard thousands of time. But then its about timing as well.. The earlier movie albums have the advantage of nostalgia attached to them, that the recent ones don't. Just by Quality of music, picturization, Lyrics and variety I would say Dil Se is best. Chaiyya Chaiyya, Satrangi Re, E Ajnabi, Jiya Jale, Dil Se re are all class in every possible way. But with DDLJ I have way more memories and literally lived and talked the movie for years. The album is one of the most iconic of all time... So it is hard to separate those two. Kabhi Haan Kabhi Naa Follows closely. There is this Deepak Tijori song that kind of brings the album down a little but I chose to ignore it as if it does not exist. Rest is pure gold as far as SRK expressions and emotional content goes.. Ae Kaas ke hum, Woh toh hai albela, Deewana dil deewana, Ana mera pyar ko.. I guess again I rate this album so high because I rate the movie so high. Baazigar - Movie that really made me his fan and Darr built on it. The songs were great for its time... Yeh Kaali Kaali Aankhein stayed on top of music charts for a really long time. Kitabein bahut si, Samajh kar chand, the title song and rest of it make it a solid album. Kal Ho Naa Ho - One of the best title songs of any movie. Veer Zaara - Do pal rukha, Tere liye, Mein yahan hun, Aisa desh hai mera.. lot of emotional and catchy songs. Dil to Paagal hai - In the days before CD's and downloads when Cassettes sold were the measure of success DTPH is one of the few that have sold over 1 crore... Really enjoyed the songs for years. Devdas/Main Hoon Naa - I have listened to them often enough and I still like them.. So they make it to my Top 10. Deewana - Fantastic Album but only two songs belong to SRK.... Aisi Deewangi was a rage and the only song where I have experienced coins thrown at the screen.. Was literally raining inside the cinema. Darr - SRK features in 3 songs and they were all excellent... Jaadu teri najar itself would feature among my top 5 songs..